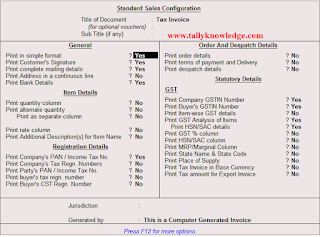 Home / GST / GST-Tally / How to Create Perfect GST Invoice without Inventory - Part 2? 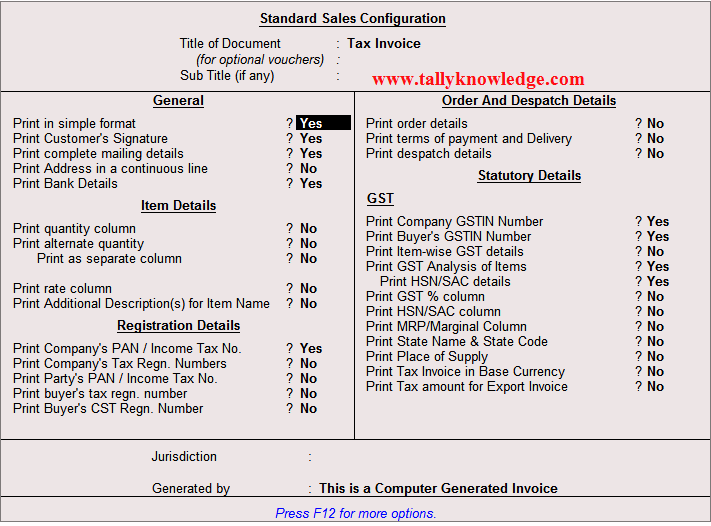 How to Create Perfect GST Invoice without Inventory - Part 2? In our previous post we learn about How to Create Perfect GST Invoice with Inventory? 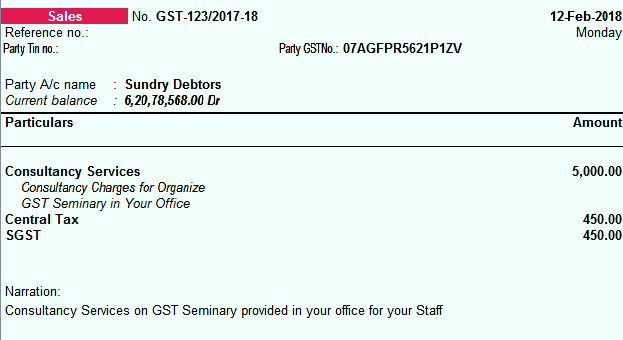 Today we learn another method to create GST Invoice. This is without Inventory feature. Generally without Inventory use in Service sectors like banking, chartered accountants, commission agents etc. 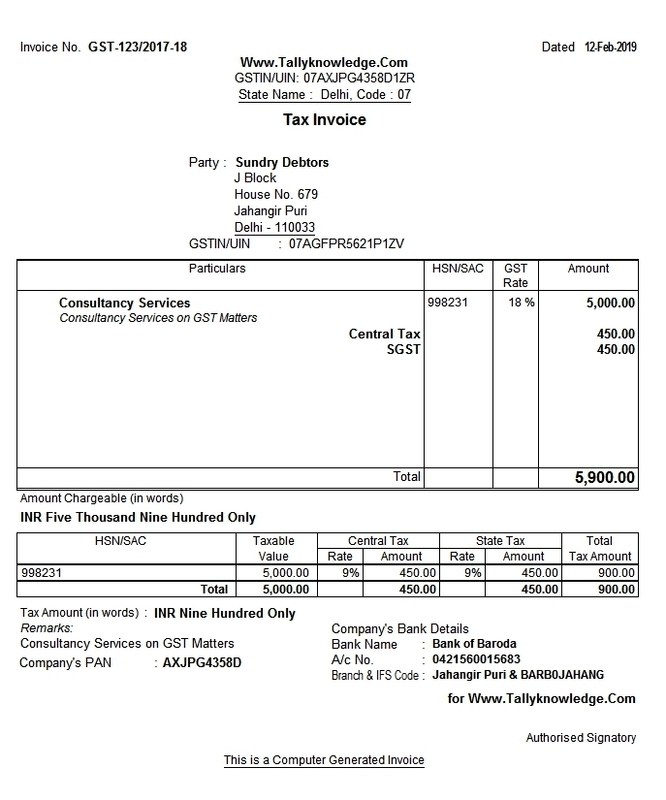 Read this: How to Create GST Service Invoice? 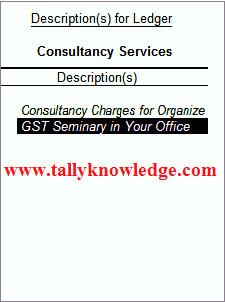 Suppose a Chartered Accountant provide services to client and generate GST invoice. Services provided by Chartered Accountant is not an inventory, so in this case there is no need to create inventory for Sales Voucher or GST Invoice. 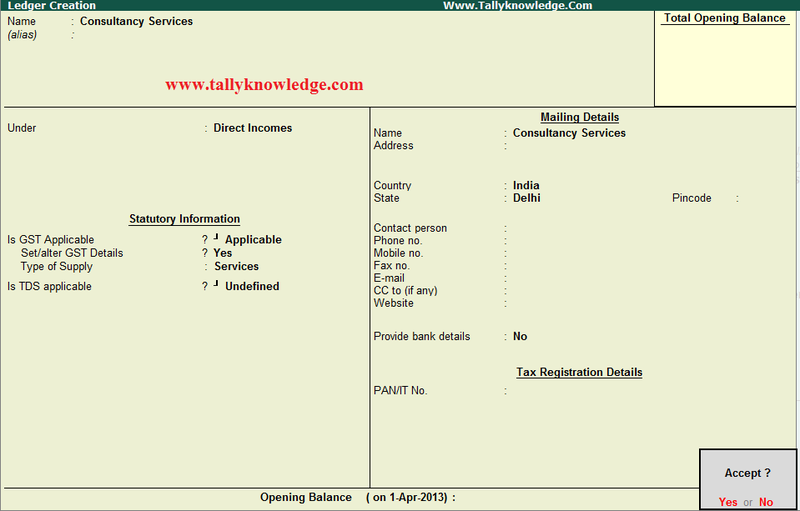 For services Chartered Accountant raised invoice for Rs. 5000 and tax thereon is @ 18% i.e. 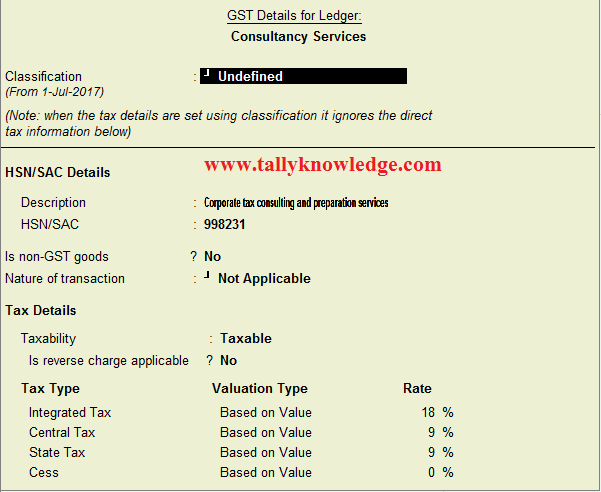 900 (If it is Intra state then it is 9% CGST and 9% SGST or if it is Inter State then it is 18% IGST). Services provided by Chartered Accountant is Consultancy Charges. 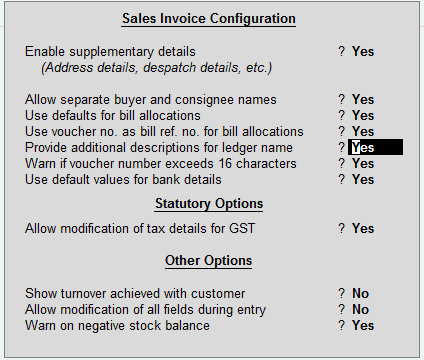 So lets start to make a perfect GST Invoices having all these details. HSN Code for consultancy services is 998231 (for Corporate Tax Consulting and preparation services). Save Ledger Account and create accounting voucher. May be your voucher open as normal sales voucher Press Ctrl + V for Invoice mode. Enter Invoice No., Note as per GST Return rule only 16 Characters are allowed in serial no. This feature allows you to enter Service description just under the Ledger Account.